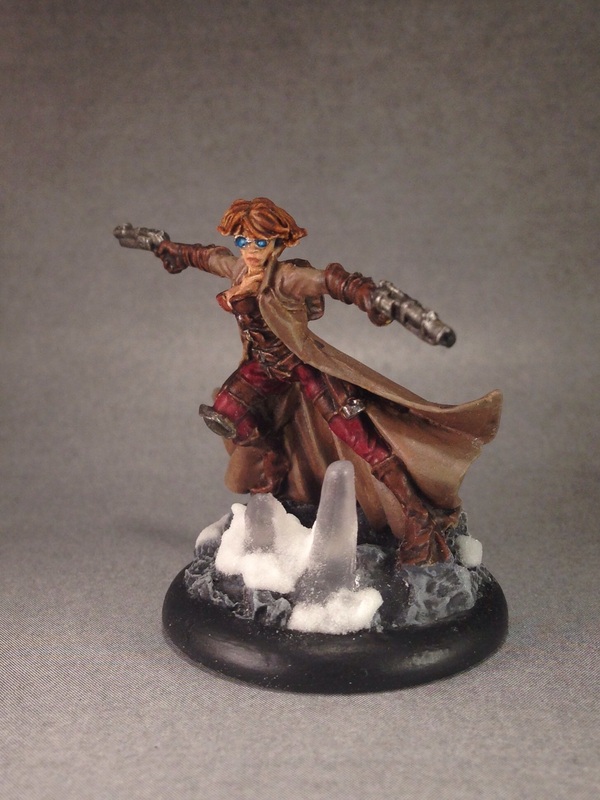 This Gunsmith is ready for action! Over the past few weeks I have been calling upon you all to shame me if I don’t keep posting finished models in an attempt to get me to finish off everything I want to finish up in order to take to Gen Con. 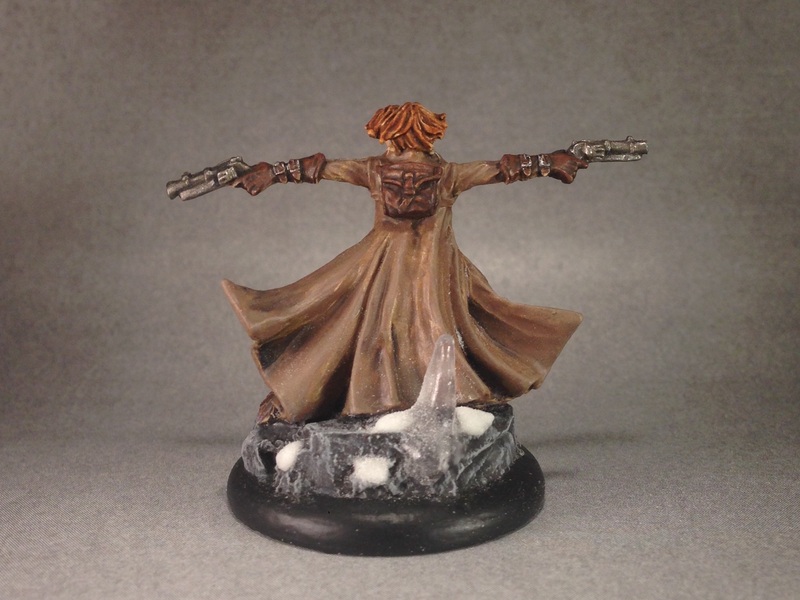 Well, it would appear this tactic is working for me as I present to you another finished model–a Gunsmith! 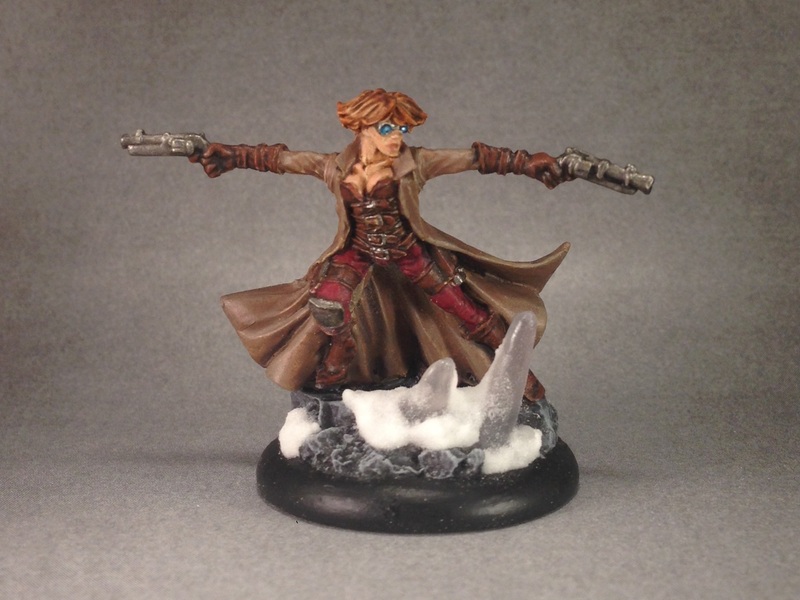 If you hadn’t guessed it by now, this Gunsmith is also from Malifaux and in the Arcanist faction. I really love the dynamic nature of this post; it has a very Matrix vibe to it. It also doesn’t hurt that my Gunsmiths tend to do great on the table for me–this model hit the table for me yesterday for the first time in her fully painted glory and managed to cause all sorts of mayhem and took forever for my opponent to finish her off, letting the rest of the crew run around to score some victory points and then finish off what the Gunsmith started. You know what they say, models always work better once they have a finished paint job on them! I hope you like this model as much as I do! I just have a handful of models left that I need to finish up prior to Gen Con, so you will probably be seeing a quite a few finished models in the coming week and a half leading up to my departure for Indianapolis. Check back soon for more finished miniatures!